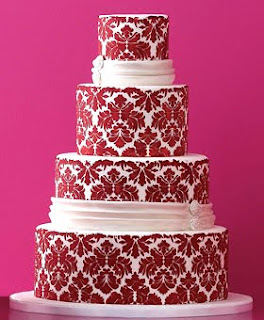 Elegant four tier round wedding cake with classic damask pattern in red over white base. 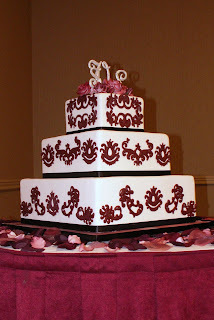 Three tier round wedding cake decorated with red damask pattern and ivory sashay hugging the middle tier. 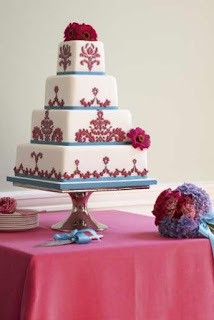 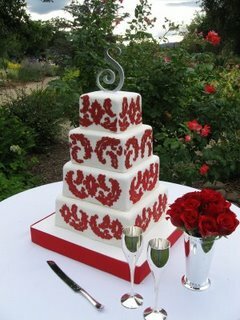 Square wedding cake with red damask patterns. 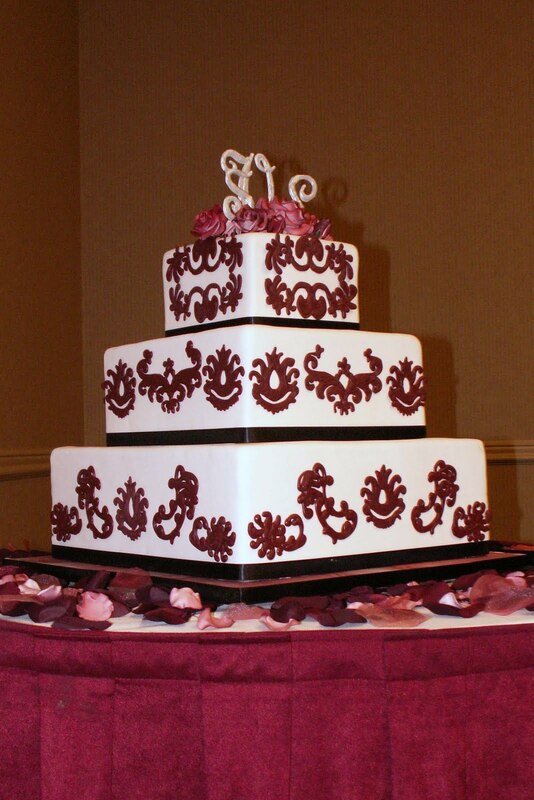 Four tier square wedding cake with red damask pattern. Four tier white cake with delicate red damask pattern, red gerbera flowers and blue ribbon. 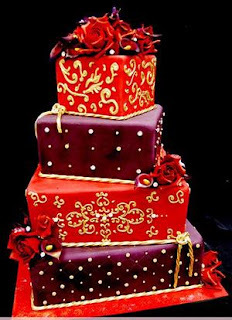 Amazing decadent four tier square wedding cake in reds and gold with damask pattern. Square three tier white wedding cake with red damask pattern. 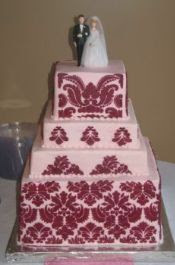 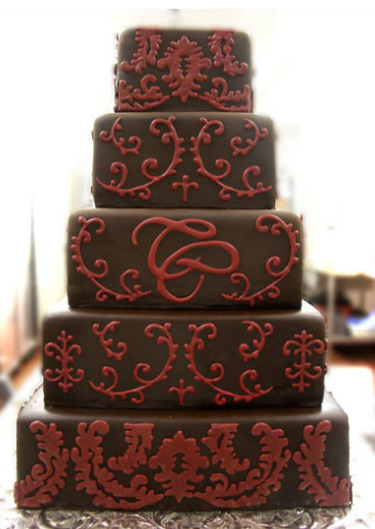 Square wedding cake covered in chocolate with red damask pattern.